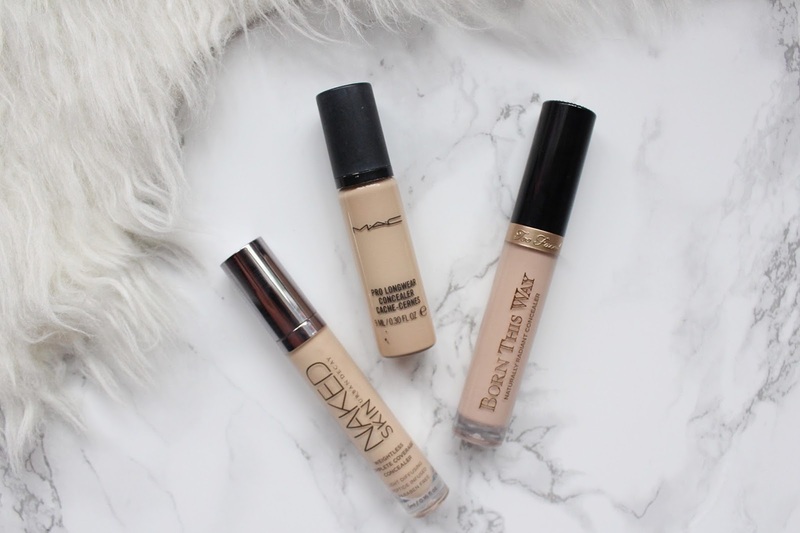 Besides mascaras, I am absolutely obsessed with trying out new concealers! I just can't get enough of them and they really make the difference when it comes to a flawless base and bright and beautiful under eye area. Of course foundation is the main product to help you get a flawless base but when you have acne, concealer is an essential no matter how good of a coverage the foundation has. When it comes to concealing, I want as full a coverage as possible with a natural or matte finish while being lightweight on the skin. Anything that leaves my skin looking cakey or feeling heavy has got to go! 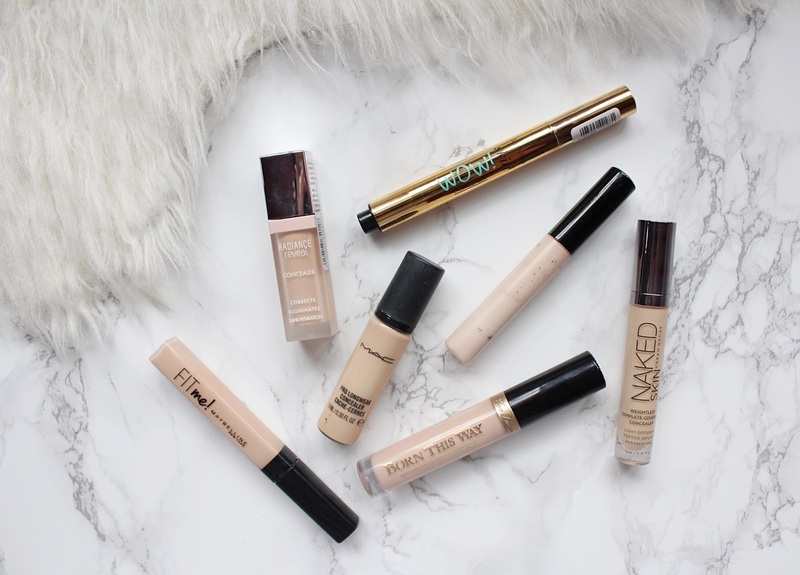 These seven concealers are the ones that I reach for the most out of my makeup collection and surprisingly, there are a few good ones from the high street! I find with a lot of high street brands that the shade ranges don't go light enough (for dark enough for that matter) but these are some hidden gems! My under eyes are very dark no matter how much sleep I get and I find that no matter what concealer I use it will crease on me unless I use a good setting powder. 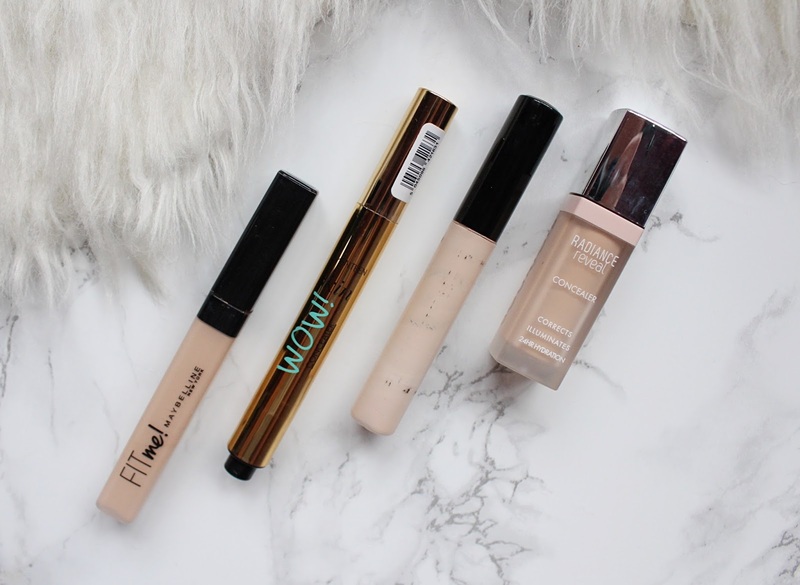 These concealers are my top picks for medium to full coverage and there is one for every price range. I'll start with the affordable options! 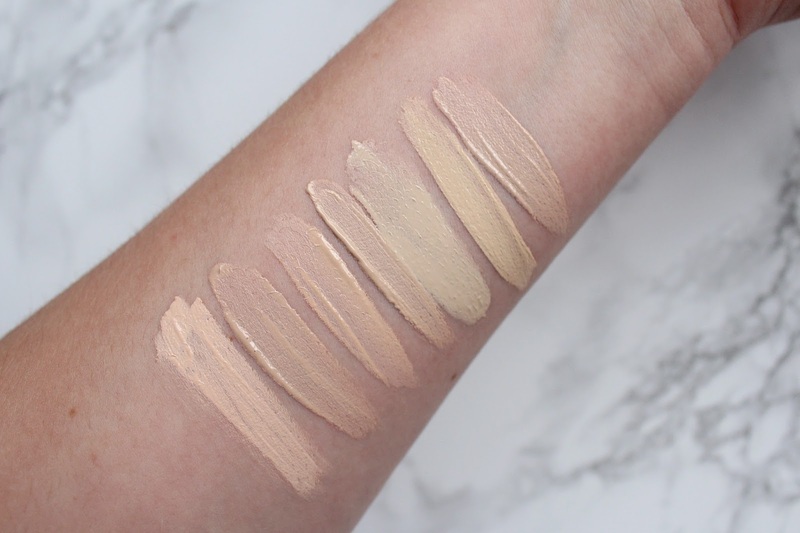 The Bourjois Radiance Reveal has the lightest coverage out of my concealers for under the eyes but still gives enough that you look like you have had a good sleep and brightens up the area. This is a thinner concealer than the others and it blends out so well and feels weightless on the skin. The Seventeen WOW! Concealer is my favourite concealer for under the eyes from the high street. It is slightly thicker than the Bourjois one but has the best coverage and it is so brightening. Full review on this wonderful concealer - HERE. The Maybelline Fit Me Concealer is another concealer that I use from time to time under my eyes and it reminds me slightly of the NARS Radiant Creamy Concealer, which I wasn't actually that much of a fan of as I found it to have terrible coverage on me. But the Fit Me has much better coverage and looks like skin once applied. For a slightly higher price-tag, I have two absolute favourites at the moment! The Urban Decay Naked Skin Concealer is one of the best concealers I have used under the eyes and on any imperfections. 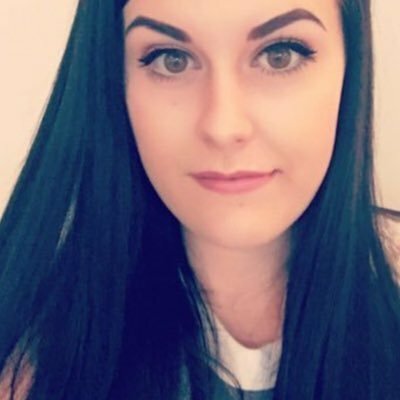 It has very good coverage and as I have the warmer option I find that it does a better job at cancelling out the discolouration. Now for the star of the show, the Too Faced Born This Way Concealer! This is the newest concealer in my makeup collection and I have been so impressed with it and haven't used anything else since I got it. It isn't thick yet has the fullest coverage out of them all so far. It conceals everything and brightens up under my eyes to make me appear to have slept for 14 hours straight! For concealing my acne and anything else, I have to have the highest coverage possible. From the high street, you can't go wrong with the Collection Lasting Perfection concealer - it is a must in anybodies makeup collection! I keep this one if my handbag for touch ups on the go as I know it is going to be long lasting and provide me with the coverage I am after. The MAC Prolong Wear concealer has great coverage and as it is a thinner consistency it doesn't leave the skin feeling heavy and the smallest amount goes a long way. The Urban Decay Naked Concealer is my favourite concealer to use a the moment on any imperfections as it does the job well and looks very natural on the skin. I also like to use this on no foundation days as it covers everything beautifully.